*** PROPERTY IS UNDER CONTRACT BUT ALLOWING BACK UP OFFERS! *** Stunning MOVE-IN READY single family custom home on 1.5-acre lot with mountain views backing up to open space! Your future home offers 5 bedrooms, 6 bathrooms and a spacious loft! 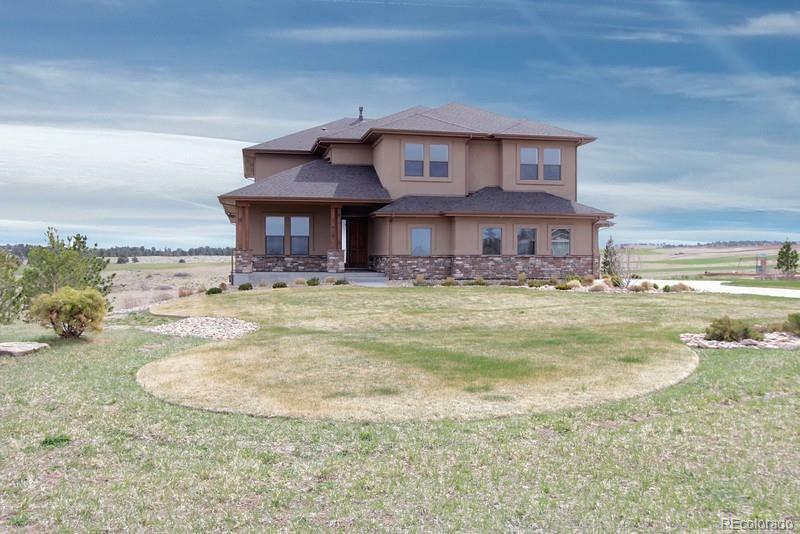 Grand foyer leads to a formal study, formal dining room, open floor plan; family room with gas fireplace & kitchen. Spacious kitchen features granite slab countertops with decorative tile backsplash, stainless steel appliances, and huge center island with seating for 6! Open the sliding glass doors and combine indoor/outdoor living experience on the maintenance-free deck. Every bedroom has ensuite bathrooms! Master suite features gas fireplace & private 5-piece spa-like bathroom with his/her closets and deep soak tub. House is on a custom lot that does not have to join the HOA. Call now to schedule your personal showing!